Aurora X5 booster “Firefly” is a few steps closer to completion with the completion of its airframe, launch pad support, and its main coat of paint. Firefly after the main coat of paint has been applied. The firefly is sporting a change in the paint scheme for the Aurora boosters, which consists of a silver band at the top of the booster stage. Omnia has that same scheme as well. The Firefly differs as it has a black band at the base of the recovery stage (which butts against the top of the booster). Those touches were finished on the workbench just as 2011 was ringing in. 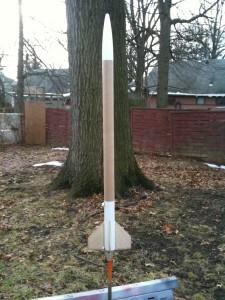 Our first new rocket of 2011 was christened mere minutes after the new year began! Other design features of the Firefly. 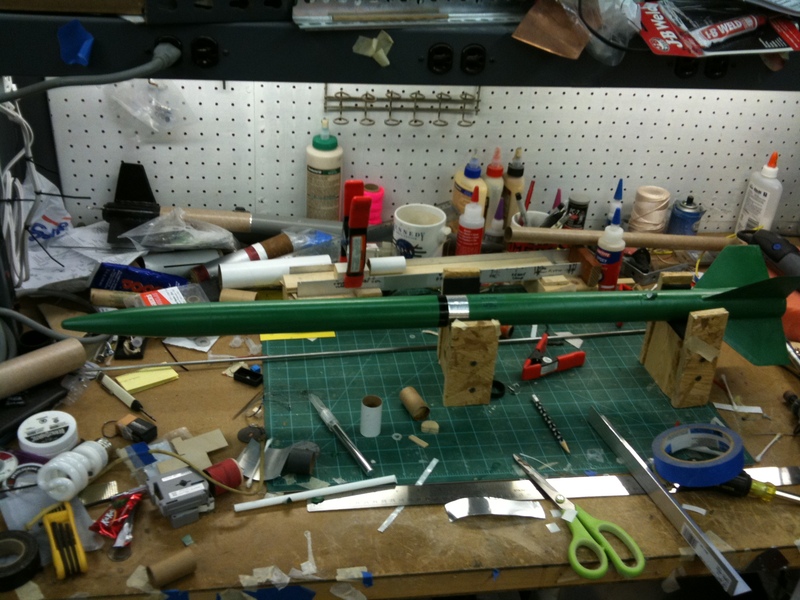 – Modified motor mount system to allow use of the Aerotech F35W motor. – A multi-stage ejection baffle system consisting of a half-moon disc system as well as a variation on the traditional side-fire scheme used in all our boosters since the Artemis X2 booster series. Perseus X4 booster Eagle has such a system, and it has proven itself to be very effective. – Anti-Zippering design. The recovery system is no longer deployed from the base of the nose-cone. The entire section forward of the booster section separates, uncovering the parachute and recovery harness. 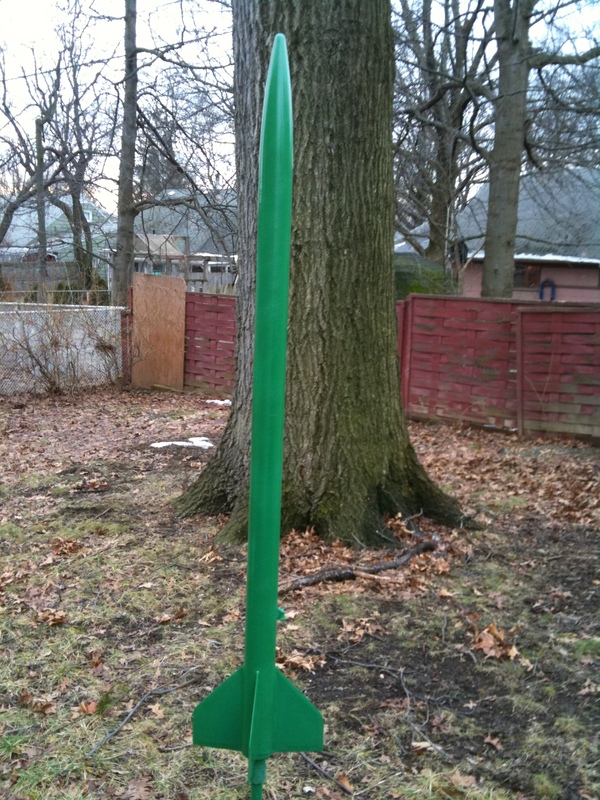 The mount point on the booster is open and free to allow for a wide variety of play without coming in contact with the airframe. 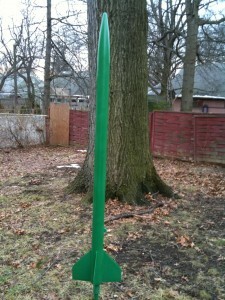 – Firefly introduces the traditional construction of a “Fin Can” to the Aurora X5 booster line. Firefly’s first flight is penciled in for February 15th.